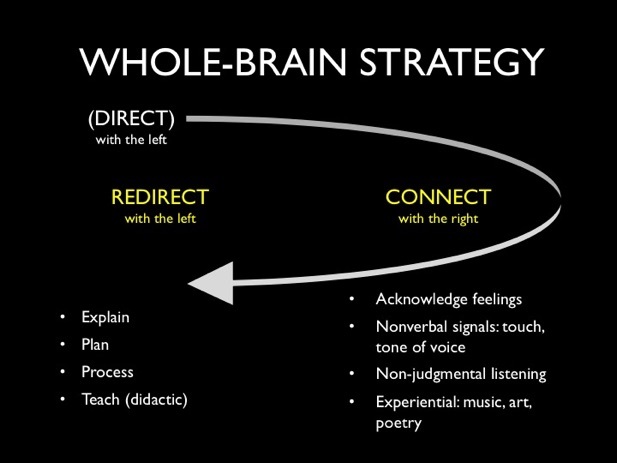 Whole-brain Addiction Treatment: "Connect" and "Redirect"
1. The human brain is divided into two hemispheres; each is responsible for specific types of functioning. 2. The right-brain is the creative and holistic side. It sees—and feels—the big picture. It is intuitive. The left-brain is the logical and linear side. It focuses on details and applies information rationally. 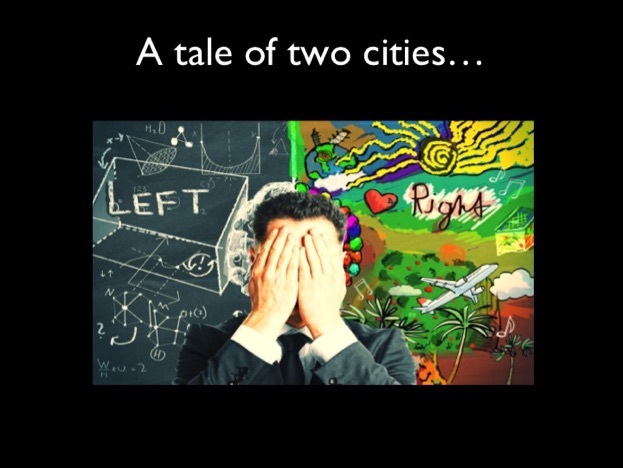 The corpus callosum is the part of the brain that allows these two sides to work together. 3. 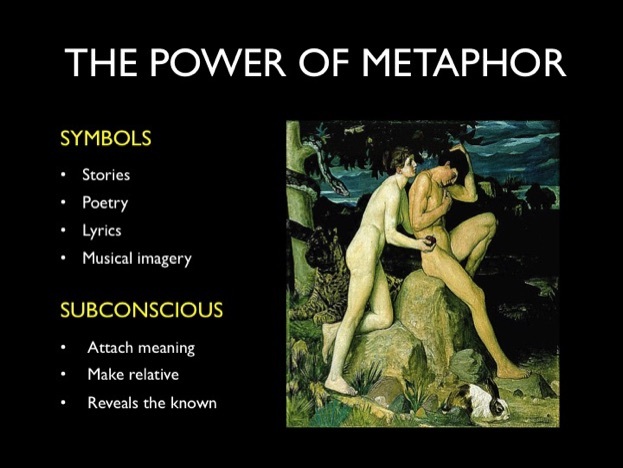 Metaphorical teaching results in more meaningful experience for clients because it draws information they already possess out of the subconscious. They relate to the material more personally and are more inclined to use this to change their behavior. 4. An integrated process looks something like this: The client connects with the material via the affective response elicited through right-brain activities. This engagement is maximized through effective processing and logical application of the material through actions that utilize left-brain functioning. The client is able to redirect his or her behavior. Activities for the right brain: Music, storytelling, meditation, metaphor. A creative approach to create emotional connection and help clients relate to material. Activities for the left-brain: Stages of Change, cognitive-behavioral worksheets, motivational enhancement. A linear format for creating a solid foundation for recovery. I have made a career out of using experiential activities such as music and storytelling as the basis for most of my work in addiction treatment. For many years I just sort of cruised along, aware of how well this approach worked, but never really paying much attention to why it works. 2. Redirect behavior through logic and reason, actions associated with left-brain functioning. As I listened to this fascinating presentation, I realized this is what I've been doing without realizing it. 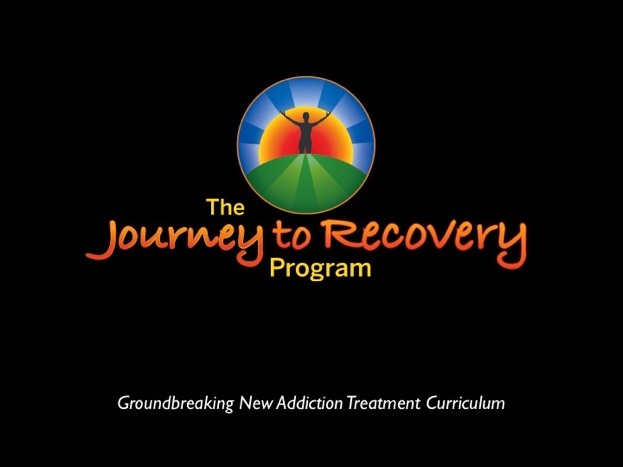 My "Journey To Recovery" curriculum, while rich in the creative aspects (arts and metaphor), also contains a heavy dose of educational material that is delivered through logical processing of the material. 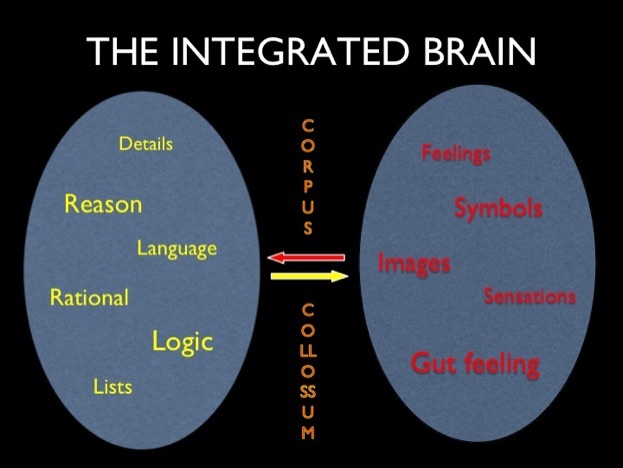 Working through the curriculum results in a process of going back and forth betwen left and right-brain functioning. 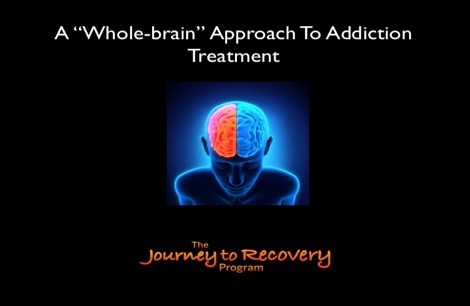 Truly a whole-brain approach to addiction treatment!